The Manuscript Poetry Book of Major Henry Livingston, Jr.
Easter . pp.1-3 11 Apr 1784 "WHEN JESUS bow'd his awful head"
Job . pp.4-5 1776 "'TWAS night. And thickest gloom prevail'd around." Invitation to the Country . pp.6-8 . "The winter all surly is flown,"
Nine Sisters Rebus . p.9 . "Take the name of nine sisters that romp on Parnassus,"
Habakkuk, 3rd chapter, verses 17 & 18 . p.10 . "THO frosts destroy, or blasts invade,"
Isaiah, LXV chap. 25th verse . pp.11-12 . "In that ecstatic, joyous day,"
Lo From the East . pp.13-14 . "Lo from the East the sun appears"
Montgomery Tappan (death of 1st cousin) . pp.15-16 20 Nov 1784 "The sweetest, gentlest, of the youthful train,"
Sarah Livingston (death of wife) . p.17 . "BEYOND where billows roll or tempests vex"
Henry Welles Livingston (death of son) . p.18 . "A gentle spirit now above"
Queen of Love Rebus . p.20 . "FAIRER than the queen of love,"
AM p.21 . "Take the name of the Deity lovers obey"
Joanna's 33rd Birthday . pp.22-23 16 May 1787 "On this thy natal day permit a friend - A brother -"
On ... Fragment . p.23 . "Thy lips surpass the Ruby's glow"
Sally Livingston (death of a wren) . p.24 . "Hasty pilgrim stop thy pace"
Settlement Invitation . p.25 . "YES, yes my swain, thy faithful wife's prepar'd"
Apollo Rebus . pp.26-27 1785 "The mount where old Homer has station'd Apollo"
Timmy (son of Yale Pres. Dwight) R CJPA p.28 7 Dec 1785 "Master Timmy brisk and airy"
The Dance (Nancy Crooke) . pp.29-30 1786 "Take the name of the swain, a forlorn witless elf"
A Valentine . p.31 14 Feb 1786 "WELLCOME, wellcome, happy day,"
Gentleman Leaving Pakepsy . p.32-33 1786 "In summer the aerial musicians around"
Hero Rebus . 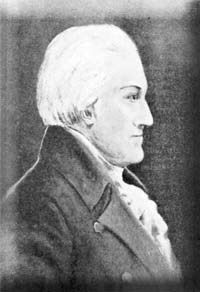 pp.34-35 1786 "That hero whose great and magnanimous mind"
Beekman . pp.36-37 1786 "To my dear brother Beekman I sit down to write"
NYMLR pp.38-40 ~1786 "A vine from noblest lineage sprung"
Spadille . p.41 ~1786 "Thou little four-leg'd paltry varlet,"
War Rebus . pp.42-43 1786 "Take the name of that hero who dreadful in war"
Sages Rebus . pp.44-45 1786 "Take the name of that planet which sages declare"
PB pp.45-48 Dec 1786 "BEFORE the friends of Mr. Power"
Anne . p.48 1787 "To his charming black-ey'd niece"
CJPA p.49 1787 "With the ladies' permission most humbly I'd mention"
Mistress Van Kleeck (sister Susan) . p.50 9 Jan 1787 "My very good landlady, Mistress Van Kleeck,"
CJPA p.51 bef 30 May 1787 "In a mouldering cave where the wretched retreat"
CJPA pp.52-53 . "As on a summer's fervid day"
CJPA p.53 1787 "I rise when I please, when I please I lie down"
Belle . p.54 . "If ever 'twas proper and lawful and decent"
CJPA p.55 . "Let statesmen tread their giddy round"
Alcmena Rebus . pp.56-57 . "The son of Alcmena, the champion of fable,"
Rispah . p.57 . "FROM morn to eve from eve to rosy morn"
To Miss . p.58 1789 "Hail! pride of each lass & the wish of each swain"
Procession CJPA pp.59-60 1789 "The legislators pass along"
NYMLR p.60 . "Sweet as op'ning roses are,"
NYMLR pp.62-63 June 1790 "'Twas summer, when softly the breezes were blowing,"
Monarchs Rebus . p.63 . "The wisest of monarchs yet weakest of men,"
Edwin's Valentine By Henry's son Edwin . p.89 . "x,"
So --... Well what do you think I have found and am going to send you? The "Small book" of poetry which Aunt Sue thought was burned up in their first fire! And in that is Nancy Crooke. Of course in G. Father's own handwriting. The poems are mostly Rebuses which I suppose were greatly in fashion about the 1780s. How this book of Aunt Sue's came here I do not know but you see I was correct in feeling sure that I had seen the Nancy Crooke Rebus- Although I thought it was an acrosticd as Nellie G. entitled it. Of course A Visit from St. Nick if written by Grandfather was written a number of years after these contained in the little book which I am sending you. This book was in the top of dear Aunt Jeannie's bookdcase which stands on the bureau in my room. I do not think there is anything in that which could clinch the authorship of "A Visit etc - still such as it is I send to thee. You need not return it to me - just keep it - with love. And please show to Nellie. I was much pleased to hear from you. And wish I could help you to find letters, or any writings, of grandfather Livingston. But I have nothing, and do not know who has. Mother had a blank book in which grandfather had written a number of his poems. And oh how often I have wished for it. But it was burned when our house burned in 1869. I have an old book that belonged to Grandfather, and his name is written in it. I don't think the book is of much account, but if you would like it, I will send it to you. Jeannie Gurney wrote again to William Sturgis Thomas on 28 Oct 1920, and offered him more of her inheritance of items belonging to Henry. He never responded to her plaintive letter of October 5 to tell her that he had been given her mother's book that she and her mother had thought lost in the fire twenty years before her mother's death. 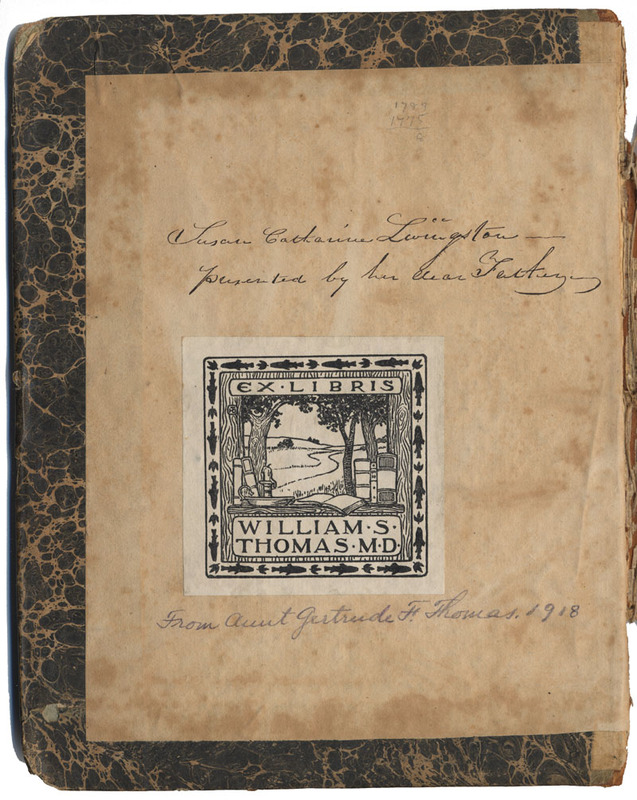 It's quite possible that this book might have disappeared to the future had it not come into the possession of William Sturgis Thomas so we, as researchers, should be grateful that it did! 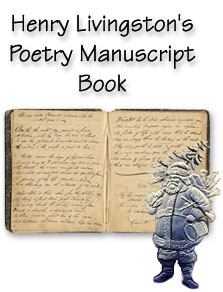 There is one more confusion over the poetry manuscript book. In a talk she gave in 1921, Cornelia Griswold Goodrich refers twice to poems that are in the New York Historical Society. Fifty or more poems, many similar in their quaint swing and meter to that well-known poem of Childhood are to be found in the New York Historical Society. If they were in the NYHS in 1921, they've been removed since then, as no originals or copies remain there, and the New York Historical Society claims not to have ever had them. Cornelia has an even more frustratingly confusing statement. His taste for music, by preference the flute, the most fashionable in those days, being his chief delight, gave him occasion for writing out all he wanted, the scarcity of printed music being evident. These he fancifully embroidered round the edges with delicate etchings & quaint designs. (See New York Historical Society). This does not correspond to either the poetry manuscript book or to the the music manuscript book, which does not have illustrations. And the New York Historical Society claims that they know nothing of either of these matters!